Ok, these 3 eps rock! 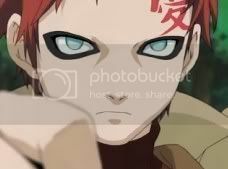 Hahaha, Gaara's so cool! 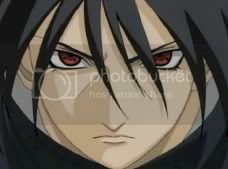 Itachi's so cool! 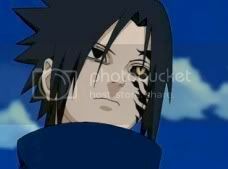 Sasuke's so cool! 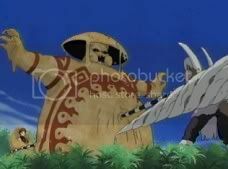 Hahahaha ... Ok Gaara won. 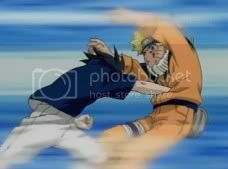 Naruto finally caught up to Sasuke and was asking him why he turned to evil and stuff if i'm not wrong. 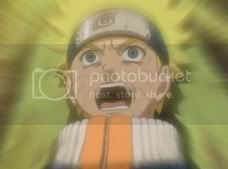 Then flashbacks of Sasuke and Itachi ... blah blah blah. 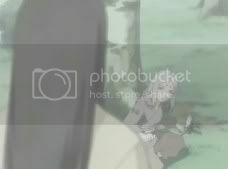 Itachi's soooo cool! Especially screenshot 8 ~~~ Sooooo cool! 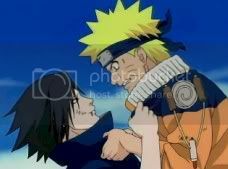 Naruto then fought with Sasuke and Sasuke seems to be winning with his 'new' powers ... That's all i could remember. Ms T.T and I went to Ngee Ann City to visit LC and poor LC was there standing, trying to sell da perfume hahaha. K was there too haha, they were wearing this pink shirt given when you purchase this 100ML perfume. But i dun really like shirts lor ... so i bought the 50ML onez, with free shower gel and moisturizer. Muahaha, so Mothers' Day Gift is done. So after i bought the gift, LC, Ms T.T and i wenta have our lunch. After that we sent LC back and Ms T.T and i went to Kinokuniya~~~ Woooo i saw many imported english mangas all from VIZ ... bleh all $16+, Ms T.T was like WHAT THE?! LoL. Then i was like manga tour guide, introducing all the different mangas to Ms T.T lol. I think she looks kinda bored too, haha, then we went back down, said goodbye to LC who was wearing a pair of wings lol goin to the tunnel to promote and give samples of the perfume to passer-bys. Yeah i sat the MRT, went to North Point, bought 4 mangas, TCZ II Collectors' #10, Gundam Seed #5 [End], Tsubasa #6 and Mythical Detective Loki Season 1 #1. I actually forgot to buy Love for Venus #9~! 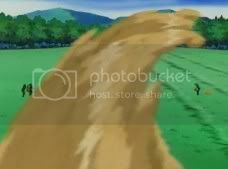 NOooOooooo. Nvm, i'll buy it with Zettai Kareshi #3 and Slam Dunk #24 next week mauahhaha. Anyways, when i first saw the cover of Loki #1, i was like hm, looks good wat. Haha when i flipped. I sketched wat how i reacted below. 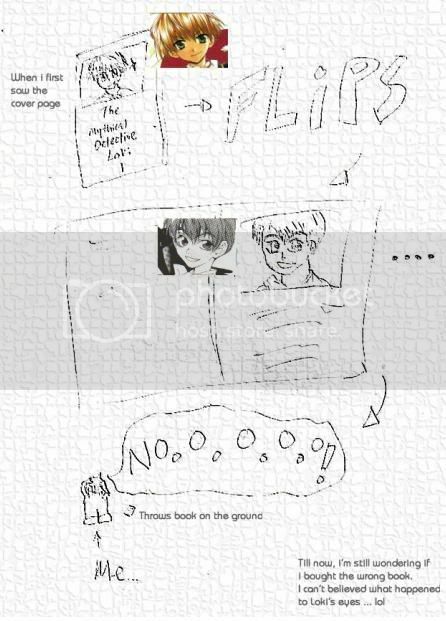 I used some darkening on comic strip by using some picture editor dunno wat la, haha so can see the art more clearly .. i juz scribble it in 10mins so it's ugly bleh. Actually the art aint so bad, it looks like the art style from Ragnarok - Into the Abyss lor, haha i was juz surprised at first to see such a HUGE change. But after a while, i was ok with it. Juz weird to see Loki suddenly with those ... long eye lashes lol.